Emerging markets have huge potential for data growth, a major factor in the fast deployment of mobile transport infrastructure As emerging markets realize the social benefits brought by the information superhighway, many nations are developing broadband plans from a strategic perspective to speed up the deployment of fixed and mobile broadband infrastructure. With the rapid development of new technologies and the increase in wireless network coverage and capacity in recent years, mobile traffic around the world has been growing fast. 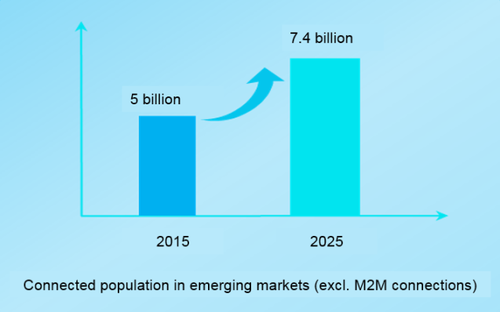 Huawei GIV2025 (Global Industry Vision 2025) estimates that emerging markets have a greater potential for growth than developed markets. 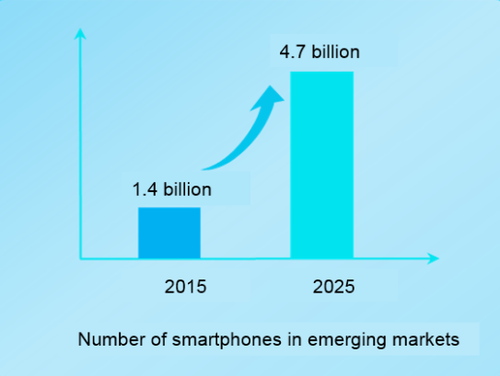 During the 10 years from 2015 to 2025, the number of smartphones will increase by two and a half times, and the connected population will increase by 48 percent to 7.4 billion. 	Outdated infrastructure, few reusable legacy resources, and CAPEX-heavy replacement. 	High construction costs for optical fiber networks and lengthy implementation, making this type of project a tough investment decision. 	Low ARPU and difficultly in developing new services, which prolongs ROI. 	Slow economic development makes revenue growth difficult and restricts investment budgets. Because of these difficulties, operators in emerging markets need to consider all network construction factors and spread TCO over multiple years to maximize returns. To address the situation in emerging markets, Huawei has continuously developed transport technologies, especially for mobile transport and broadband services in scenarios where optical fiber deployment is unfeasible. In 2018, Huawei launched a 5G microwave mobile transport solution that can improve microwave spectral efficiency, simplify deployment and upgrades, and reduce deployment and upgrade costs. The solution meets the transmission requirements of existing 2G, 3G, 4G, and home broadband services, and supports seamless evolution to 4.5G and 5G, achieving optimal TCO. Huawei's 5G microwave solution consists of ultra-low-latency IDUs that support various interfaces, including 10GE. It provides the industry's first carrier aggregation (CA) ODU with modular antennas, and supports seamless upgrades from hundreds of Mbit/s to 10 Gbps. 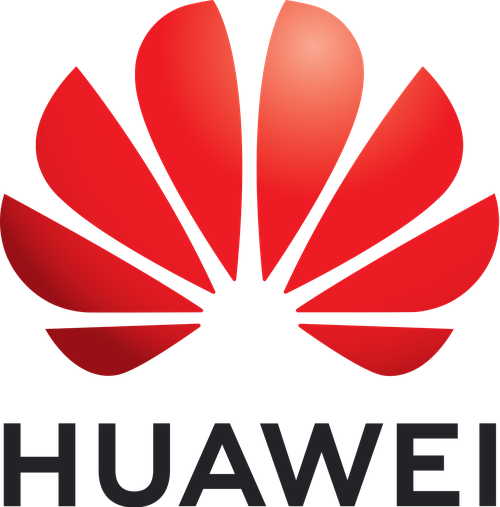 The solution also integrates Huawei's proprietary SDB dual-band microwave and MIMO features to allow operators to select the optimal network construction model based on application scenarios and available spectrum resources. One operator in India, for example, upgraded its bearer network from 3G to 4G and needed to multiply microwave transmission capacity. The fastest way to do so was to upgrade the existing single-channel single-polarized transmission to XPIC dual-channel transmission. However, replacing existing single-polarized antennas is expensive and time-consuming, and compromises user experience. Huawei developed a customized upgrade solution that leverages a unique modular antenna upgrade technology. Instead of replacing the existing antennas, the solution only required the operator to replace its modules, which improved upgrade efficiency fourfold, avoided antenna transportation and delivery costs, and reduced TCO by 60 percent. Another operator in India was also facing pressure to expand its microwave capacity, but lacked additional microwave spectrum resources – it could only hope to improve spectral efficiency. Microwave MIMO technology can boost spectral efficiency but because of the large spacing required between MIMO antennas, it cannot be used in some sites. Huawei's enhanced MIMO technology reduces the required spacing between MIMO antennas by two-thirds, which in turn reduces spectral costs by more than 50 percent and can be used at more than 80 percent of sites. In the Middle East, optical network construction is both expensive and time-consuming. If operators wait for optical fiber resources to be ready, broadband programs might overrun or be delayed, which can in turn cause user churn. However, Huawei's single-antenna SDB solution offers a capacity of 10 Gbps at 7 km, and the capacity can be further improved to 20 Gbps. For the same area and distance, and to meet capacity requirements in the coming three to five years, Huawei's solution reduces investment by 40 percent and the construction period from 8 months to less than one, which helped one customer improve its market share in this area. In southern Africa, one operator began to verify its 5G services and, to do so, selected Huawei's 5G microwave transport solution for latency-sensitive and automated control services. Using a dedicated algorithm and architecture, 5G microwave reduced latency by 50 percent, and the test results met the customer's requirements. More importantly, ultra-low latency can be achieved by upgrading existing microwave devices. In Asia-Pacific, the Middle East, and Africa, more operators are choosing 5G microwave to build their bearer networks. The solution’s ultra-high bandwidth, ultra-low latency, seamless upgrades, and significantly lower TCO are welcomed in emerging markets, with one customer in India stating that, "Huawei's 5G microwave solution is future-oriented and can support the long-term evolution of our bearer networks." In the future, Huawei will continue to work closely with global operators to enhance the capabilities of 5G microwave solutions and help global operators, especially those in emerging markets, build mobile broadband networks that are future-oriented and represent the best use of CAPEX. In this way, everyone can share in the dividends of global network development.